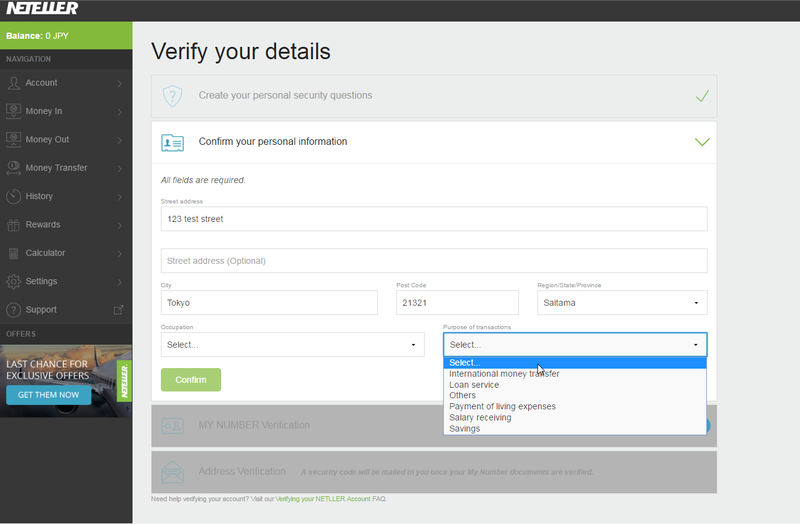 We have a new and updated verification procedure for our members in Japan. Create your personal security questions. 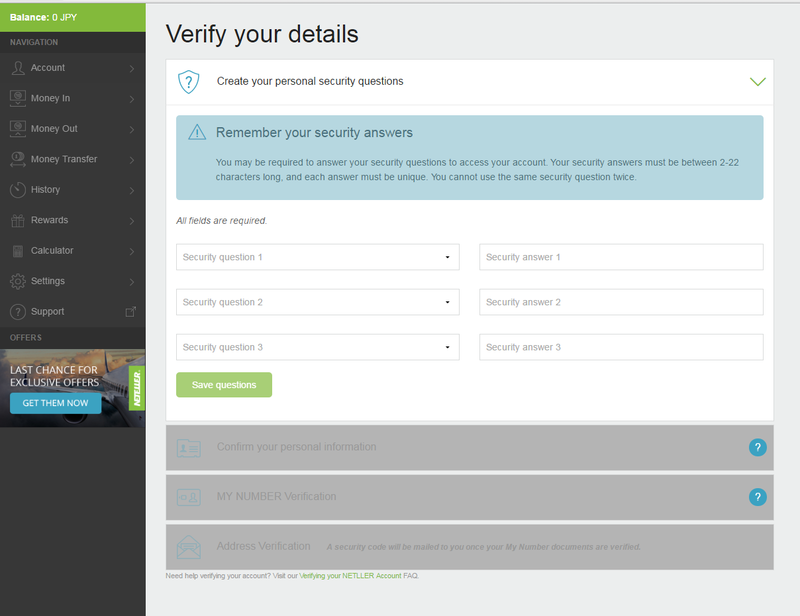 You will only need to choose 3 security questions and their answers if you have not done so already. 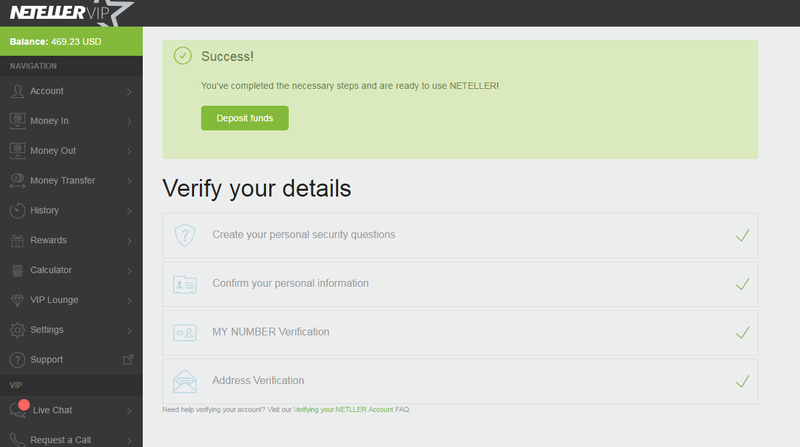 Here you will have to enter your current home address*, select your occupation and the purpose of transaction (to and from your NETELLER account). *The address you enter will be the one where, you will receive a letter with the address verification code, so please make sure the provided address is correct and full. 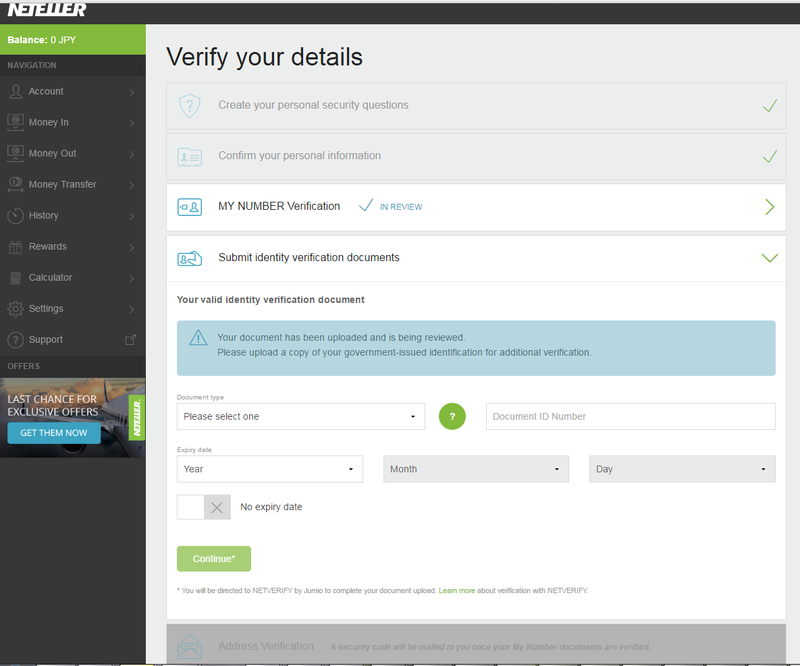 Please bear in mind that after you have chosen a document from the drop-down list, you will be redirected to our automated verification system NETVERIFY and you will have to follow the on-screen instructions for upload. 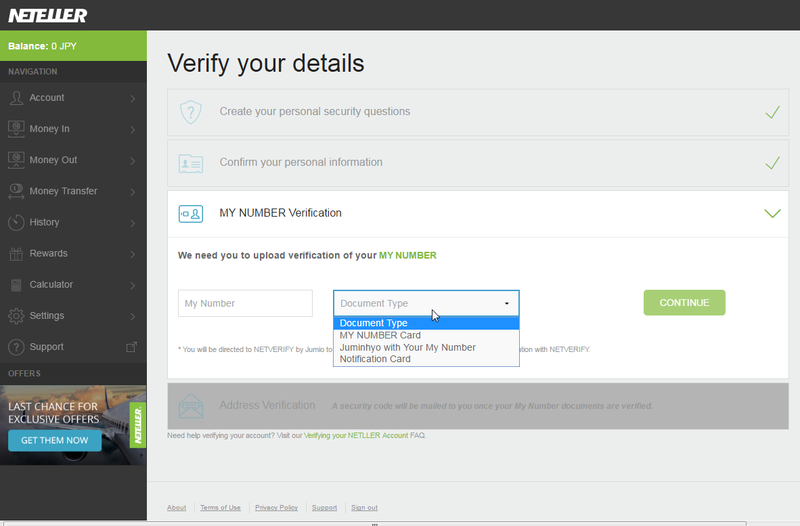 If you haven't submitted "MY NUMBER" card in step 3, you will be asked to upload another government-issued photo ID document, for example driver's license, international passport, etc. After your documents have been approved, you will be sent an address confirmation code via standard postal service. 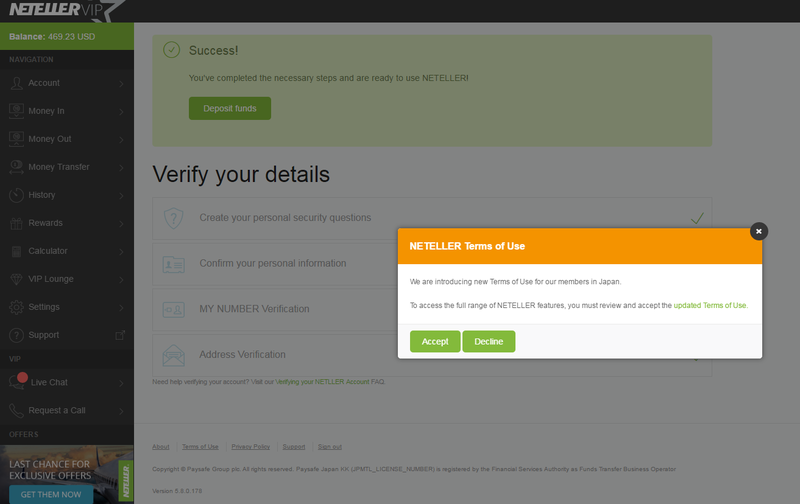 You will receive it at the address provided in step 2. Here you will have 5 attempts to enter the code in order to complete the verification process. Bear in mind that after 5 unsuccessful attempts, you will have to wait 24 hours before trying again.